Jake Dennis will take part in the Super Pole shoot out for the Spa 24 Hours after he and team-mates Stuart Leonard and Jamie Green guided the #17 Team WRT Audi R8 LMS to a narrow finish inside the top 20 during the combined qualifying session in Belgium. With over 60 cars on track all competing to set a lap time good enough to place them inside the top 20 spots, clear space on the track was at a premium. Racing Steps Foundation-backed Dennis left the first qualifying session to Green, who began the session in the #17 Audi, setting a time of 2m 19.940s which was good enough for the 34th quickest time. Whilst still in the car, Green was one of the only cars to improve further inside the final 30 minutes, with a best of 2m 19.256s, vaulting the car up to 16th position. A red flag ended the session seven minutes early, with the second, night qualifying session to come. Fellow RSF-backed racer Ben Barnicoat, taking part in the #58 Strakka Racing McLaren 650 S GT3 machine alongside team-mates Rob Bell and Côme Ledogar, was finding the session tougher. Following struggles in earlier Free Practice, the opening qualifying session was left to Ledogar who set a benchmark time of 2m 19.435s to move into 22nd position and was unable to improve thereafter. With daylight rapidly fading, the quickest laps of the night qualifying session were set at the very start, curtailed by a red flag as the #22 Nissan GT-R Nismo of Matthew Parry crashed heavily at Raidillon. Upon the fully dark restart, Green took advantage of fewer cars on track to set a quicker time of 2m 19.026s and promote the car into 17th position, while Ledogar was unable to improve on his earlier time. With all drivers required to complete a mandatory two flying laps, both Dennis and Barnicoat took to their respective cars on two occasions in order to give them vital experience of driving in night time conditions. With no further lap time improvements, the top 20 order remained largely static with the #17 car narrowly remaining in the Super Pole positions by four thousands of a second as the top 20 spots were covered by less than half a second and by 10 different manufacturers. Barnicoat and the #58 Strakka McLaren will not take part in Super Pole, and will begin the 24-hour race from 33rd position. The #90 AKKA ASP Mercedes-AMG GT3 machine of Edoardo Mortara/Michael Meadows/Raffaele Marciello set the quickest lap of qualifying early in the opening session. 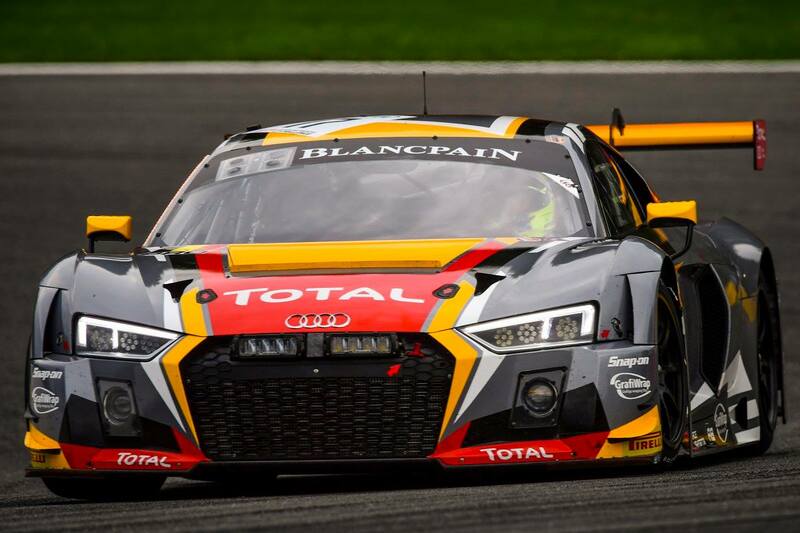 The Team WRT Audi R8 LMS of Connor de Philippi/Christopher Mies/Frédéric Vervisch took third position. “Getting into Super Pole by four thousands of a second, we didn’t have much left on the table,” Dennis admitted. “With the number of cars on track at the same time, it’s easy to lose up to five seconds a lap behind cars. “It’s going to be an exciting Super Pole. We can only go forward which is exciting. The car’s race pace was pretty good. Our only concern is the potential for tyre failures but we’ve been able to avoid that so far. Barnicoat felt the car was unlucky not to be involved in the Super Pole showdown: “We were a bit unlucky with traffic and red flags as I think Super Pole was on the cards. We were still trying to unlock some more pace.